Conservation Sites are available for recreational access at your own risk. By accessing these properties, you agree that ACA and its partners are not liable for any injury or damage whatsoever caused to you or others irrespective of the cause of the injury or damage. Be aware of the potential for livestock grazing and other users. 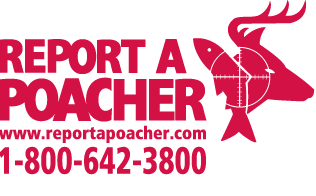 Please report any abuse or misuse of these lands, wildlife or fish by calling Report A Poacher at 1-800-642-3800. Please use respect and act responsibly.